Any trip is bound to have its highs and lows. The highs are why you travel and the lows exist as lessons that leave us a little wiser and a bit more prepared for the next adventure. 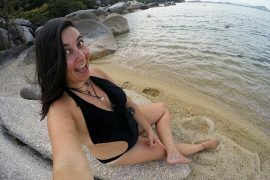 After spending four months traveling through Thailand, Myanmar, Laos, Vietnam, Cambodia, and the Philippines I’ve compiled this personal list of the best and worst experiences traveling in SE Asia that will make you laugh, cringe, or have you packing your bags for your adventure to this outstanding continent. Some of these may not seem like the worst experiences but I’m happy that nothing worse happened. Some I merely overreacted and blew out of proportion and others were really just awful to deal with. These easily made their way onto my worst experiences traveling in SE Asia. So I went to Halong Bay on a tour like the thousand of other tourists who arrive daily. There are a million tours to pick from that all sound similar making it almost impossible to know which one is the best. My friends and I picked a decently priced one and went on our way. This tour, though not awful, was rushed. I found it difficult to understand our guide and our fellow boat companions were not pleasant. We were forced to dine with a family that seemed miserable and spoke little to no English and there was overall a very anti-social vibe. Though we tried our best to see the bright side, I still look back and think about how much better it could have been. Is there a way to get away from tourists in Halong Bay? Don’t think so. In Kampot, Cambodia I made friends with a girl who joined me for a day scootering around the national park. I got us lost and we ended up at a waterfall which was delightful, but it was not an easy task to get to. After it had poured rain all morning we were driving through red clay mud that was so slippery that even the locals were having difficulties driving through. Did I mention it was also hilly and it was my friends first time driving a scooter? After she fell off her scooter twice we decided to leave our scooters on the side of the road and walked the last 800m in our bare feet attempting not to fall as locals drove past laughing at us (though some did offer to drive us). 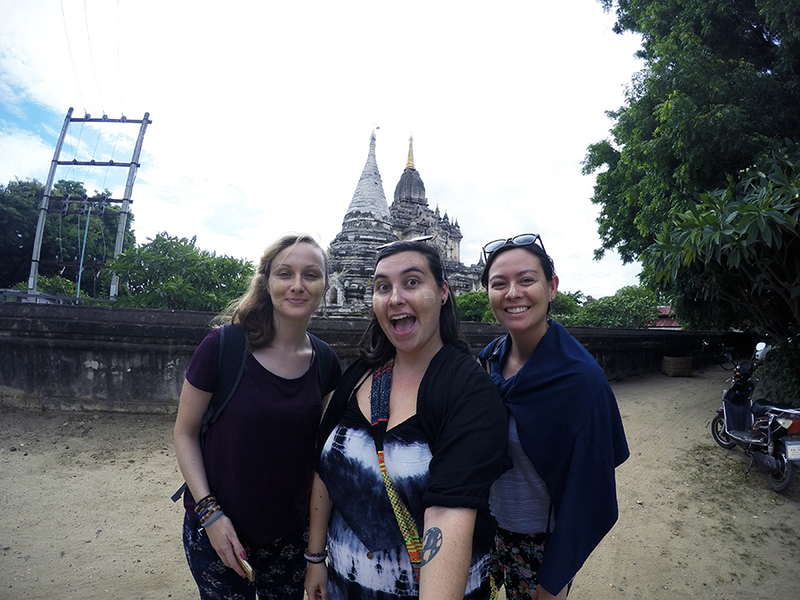 Though she wouldn’t consider it one of her worst experiences traveling in SE Asia and more of a learning experience I can’t help but feel so guilty for taking a beginner through a dangerous area that even I shouldn’t have been in. We were both pretty happy we found this waterfall. While taking off on a day adventure to a cave about an hours drive away I of course opted to get the cheapest bike possible. It looked like it could fall apart any minute. It got me to the cave with no problems though the gas gauge was nearing empty at a faster pace than I thought was usual. On the way back we made it up the mountain and began the ride back down the other side. I was cruising down a steeper part and went to speed up when the ground started to become even but nothing happened. Instead I started slowing. I looked over to my friend who was passing me and indicated that I couldn’t speed up. We stopped, saw that my tank was empty and began laughing. Of course we didn’t pass any gas stations and the closest one was 25km away in town. I spent the next 20 minutes cruising down the hills just from my own momentum. Another friend had gone up ahead and had found an old lady who had gas in a pop bottle. I paid her, thanked her, and made it back to Pai with no more trouble. Before I ran out of gas I got to drive through that cloud. It was pretty epic! I was two months into my four-month trip when I began to get homesick. I started to get tired, and I started craving more things from home. I missed my own bed and private room that didn’t have a minimum of six other strangers sleeping in it. I started getting “hosteled out” and just wanted to talk to my parents in person. It put a downer on my trip and it came sooner than I thought it would. It hit me fast and it hit me hard and I didn’t want to have to deal with it. Homesickness is tough and can be difficult to distract yourself from. This was my second time getting homesickness in Asia and it will always be one of my worst experiences traveling in SE Asia. I started getting homesick in Nha Trang, Vietnam, and went to the mud baths to help distract myself. Though a day’s budget is only $50 CAD having lost any amount of money at all was a big hit for me. I’m very careful with my money, I’m organized, and it’s extremely unlike me to loose anything, espeically money. I was more mad at myself for doing something stupid than about the actual amount lost. I let myself be too brought down by it and let it taint my day. An unfortaunte truth, but a reality that we had both come to face. It was something we both knew was coming and two months into our four month trip together we split up. You could feel the tension between the two of us in a room, and it grew the longer we stayed together. Though we still had plenty of good moments that will be lifelong memories our travel styles were beginning to clash and our friendship was being pushed beyond its limits. The first week of our trip in Yangon, Myanmar at Shwedagon Pagoda. After a 25 hour bus from Laos into Vietnam I was eager to get to my hostel and relax. I couldn’t find either of the taxi companies that my hostel recommended to me so my friend I jumped into the closest one and asked him to take us to the nearest ATM. Before we even got to the ATM we both noticed the meter was jumping all over the place. I tried to communicate to the driver that I wouldn’t pay the price displayed because I could see it was faulty. He ignored me. At the ATM while we were getting cash the driver then turned off the meter. He continued driving us to our hostel but started getting angry when he couldn’t find it. Shaken up enough, we asked him to pull over. He demanded 300,000 VND ($13.49 USD) from us each, which we refused. I tried to get out of the car but the doors were locked. I tried to roll down the window to check the prices on the car door but the windows were locked too. We gave him each 100,000 VND ($4.49 USD) and he unlocked the doors, threw our bags into the middle of the street and sped off. Later that night a friend grabbed me a cab after a pub crawl. It wasn’t very far but when the driver asked me for 150,000 VND ($6.70USD) I refused telling him that was way overpriced, his meter too was jumping. I checked to see if the doors were locked, they weren’t so I threw him 50,000 VND ($2.25 USD) and ran into my hostel across the street as he shouted at me. I booked myself on a two day trek through the rice paddies in Sapa which I was told were a must-see if I had the time. The day we got there it started pouring rain. The so called trails were pure mud through the steep hills that had significant drops off the sides where one slip in the wrong direction could have you seriously hurt. Even with the help of my local guide who could navigate through the mud knowing the trails as well as the back of her hand I manged to fall more times than was pleasant. My pretty looking Nike’s weren’t cut out for the job. On my seventh fall in less than an hour I twisted my ankle and fell dangerously close to the edge. I sat in the mud in my purple poncho holding back tears of pain as the rest of the trekkers made their way past. I made my way back to the main road and walked for 10km to our lunch point. I didn’t make it there without rolling my ankle for a second time and sat in the stream of water that I fell into and finally let out tears in pathetic sounding sobs. I made my way back to the main road and walked for 10km to our lunch point. But I didn’t make it there without rolling my ankle for a second time and sat in the stream of water that I fell into and finally let out tears in pathetic sounding sobs. I made it safely and happily left Sapa without a look back knowing at that moment that it was bound to be one of my worst experiences traveling in SE Asia. My friend sprained her ankle too so I wasn’t the only cripple. I had one week left of my four months and I wanted to spend it in paradise, so I chose El Nido. I couldn’t go wrong with the beachy town on one of the world’s most beautiful islands. But my body had other plans. I spent four of my six days there in bed with a fever. On the third day of my fever I went to the doctors to find out that I had tonsillitis. The next day I went back and was resistant to some of the medication he had given me so he had given me even more. All of this before I had 31 hours of travel in two days. The most I saw of El Nido was my hotel room. The one day I was able to go out/the day I came down with a fever. My worst travel fear was getting bed bugs. And I had good reason to fear them because they are one of the worst things to deal with while you’re traveling. For the first bit I was in complete denial as no one could tell me if they were bed bug bites, mosquito bites, or sand flea bites. But the itchiness was the worst I’ve ever experienced and the bites kept appearing. When I was changing and saw one of their skins fall off of my clothes I finally brought all of my clothes and bag to the cleaners and had everything washed. Less than two weeks later I thought I spotted one crawling on my leg while on a ferry to Koh Tao. Luckily they were only bites from the ferry seats where I had been sleeping and my bag was safely outside away from any fabric or bugs. Koh Rong was still beautiful though. Though some of these may seem a little silly or something that shouldn’t be a top experience, it was how I felt in the moment that made these stand out the most as my best experiences traveling in SE Asia. I had absolutely no desire to go to Chiang Rai other than to see the White Temple. It was pretty close to the top of my bucket list of things for this trip and I was determined to see it. My friend and I had planned to take a bus from Pai to Chiang Mai and then from Chiang Mai to Chiang Rai (which is somehow cheaper than just going from Pai to Chiang Rai) and visit the temple that day before heading to Laos the next. By the time we got to the White Temple it was closed. But a big bonus was that we were the only ones there at sunset and got to snap a few pictures. We rearranged our plans and went back the next day waiting patiently as tour buses unloaded tourists in mass amounts. But when there was a break we would jump in and get our pictures. It was fun and stunning and exactly everything I expected it to be. When there was a break in the tourist crowd. Though I spent less than an hour on the white sand dunes (which were better than the red) it was a time of pure bliss. My friend and I rented a four-wheeler and spun in the sand up the dunes to get the best views, squealing when it didn’t steer in the exact direction we wanted it to. It was the only time on my trip that I frolicked around like a child even as it began to drizzle. I was determined to not leave Koh Tao without seeing at least one of its viewpoints. But I was lazy and didn’t feel like going far. Eventually I mustered up the willpower to rent myself and a friend a scooter and drove the short distance to Freedom Beach viewpoint. We struggled up the trail in our flip flops and climbed over a few big rocks to find ourselves at the top in less than 15 minutes. There was one couple up there but they quietly left as we arrived. In front of us the island curved outwards as the sun beat down on our shoulders and we marveled at the contrast of greenery and the magnificently blue waters. If you’ve traveled in SE Asia before then you know just how crowded tourist spots can get and just how rare it is to find one just for yourself. Which is why this easily makes it onto my list of one of the best experiences in SE Asia. When will I ever be able to have clothes custom made for me again? Probably never. It was the only stop of my trip that I got to step out of my backpackers clothes and spoil myself. It was where I spent my days busying myself with fittings instead of trying to fit in all of a cities sites in two days. I got to focus on feeling pretty and treating myself instead of climbing up stairs to temples and questioning how one person could sweat so much. Getting alterations made during my first fitting. I was beginning to become burnt out and needed something to rejuvenate myself before the last country of my trip. I booked myself into a beautiful yoga retreat on Koh Samui, splurging maybe a bit too much, but never regretting it. I sat in my first private room in three months on a cliff looking out over the water and practiced yoga in the warm ocean breeze. I spent time reading by the infinity pool and got to know a few older ladies. It was refreshing to be around people who didn’t want to always party, people who were doing different things than me, and people who just had life experience. I even got lucky and got a room upgrade when my AC stopped working. Turns out a little time to myself and tea was all I needed. I am pretty terrified of all things underwater. I don’t know what things are poisonous and my lack of knowledge makes me unfit to go snorkeling (at least in my opinion). But little by little I got more comfortable with it and unexpectedly I got to go snorkeling with turtles, something that I never would have pictured myself doing before. Though I refused to go very close to them, it was an incredible experience. It was on my list of things I wanted to do on this trip and I did it. 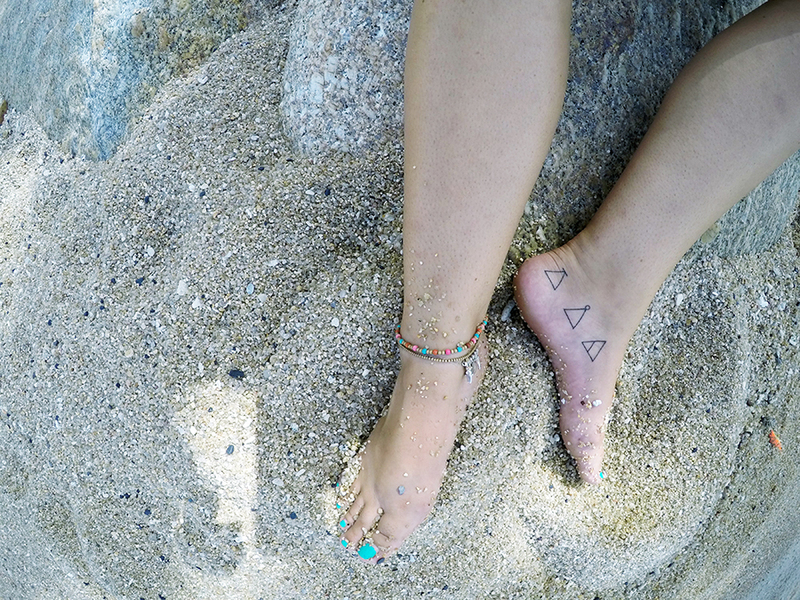 Though I didn’t think I’d be getting this tattoo, as I had originally planned on getting a mandala. The last minute decision to change my mind and get the one I have now is not one I will regret. Ticking items off of your bucket list will always be one of the best experiences traveling in SE Asia. It means challenge, learn, and transform. Whenever people ask me what my best moment of this trip was or the best place I ponder for a bit but always come back to Bagan. I think it’s because I know I’ll never see something quite like the temples in Bagan ever again. At least not in those kinds of numbers. There was something so peaceful about the city, so magical that nothing else on my trip could top it. One of the more simple temples we found driving around. In the Philippines I attended my first blogging conference which was then followed up with a four-day trip to seven different islands. It felt like a huge stepping stone in my blogging career and gave me the confidence and extra push I needed to move forward even more. It lit a fire in me and gave me the desire to continue pursuing this as a career. How could this not land as one of my best experiences in SE Asia? The Philippines has got some good beaches. I had the opportunity to meet four different women who were all older than me, all but one single, and all traveling solo. They were all such motivating individuals that helped me to believe that what I was doing was completely the right choice for me. They were smart and kind and all so incredibly different but shared the same passion for travel that I have. We had discussions about history and life and careers that were thrown away in the pursuit of other dreams. We talked about boys and religion and our past mistakes. They were the four individuals that I felt the most connected to on my entire trip and that I can’t thank them enough for just being who they are and stepping into my life. What’s one of your top or worst travel experiences? PIN IT FOR LATER OR GIVE IT A SHARE!